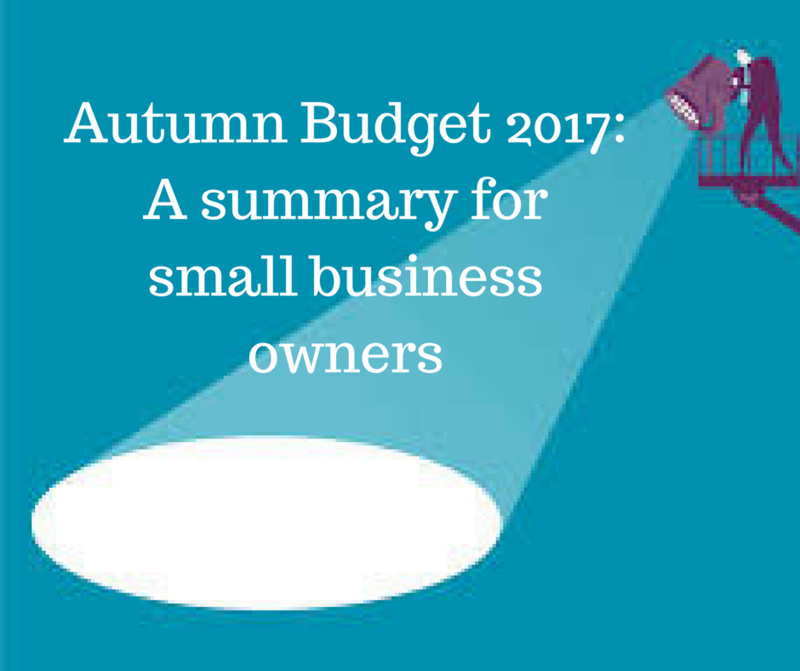 This week, Phillip Hammond, the Chancellor presented his Autumn Budget for 2017 and for small business owners, nothing that was announced really “rocked the boat”. It was a budget of lots of small measures rather than any big announcement. There were however a few pointers to some bigger changes that may come about in the near term. This was the measure I had my eye on for possible change. Currently, businesses with less than £85,000 of annual sales do not have to charge their customers VAT or pay it over to HMRC, allowing them to keep their prices low and avoid the additional administration of submitting quarterly VAT returns. Earlier this month, the Office for Tax Simplification (OTS) concluded that “Britain’s current threshold of £85,000 distorts competition and disincentivises business growth and that by reducing it to £43,000 would produce £1.5billion of additional tax revenue for the government”. Britain has one of the highest VAT thresholds in the developed world. The EU average is £20,000. Businesses and sole traders in Germany for example must be VAT registered once their annual sales reach £15,600. In the event, the Chancellor announced that the £85,000 threshold would remain unchanged for 2 years from April 2018 but unveiled plans to consult on whether it’s design could better incentivise growth. The personal tax allowance will increase to £11,850 in April 2018 and the higher rate tax threshold will rise to £46,350. The combined personal allowance and higher-rate threshold changes will mean that a basic-rate taxpayer will increase their post-tax income in 2018-19 by £70, compared to 2017-18 and a higher-rate taxpayer by £340 in 2018-19 compared to 2017-18. Making Tax Digital is the government’s plan involving business owners and landlords having to maintain digital records and provide quarterly updates to HMRC. You can catch up here on what this all means. There were no further announcements on MTD in this budget. As the situation stands it will only be those businesses whose turnover is above the VAT threshold (£85,000) who will have to use MTD from April 2019. The roll out to other businesses will depend on how well the system works for the early adopters but this won’t be before April 2020. The National Insurance Contributions Bill has been delayed and will be introduced to Parliament in 2018. As a result, the reforms to the National Insurance regime for the self-employed (which involve the abolition of Class 2 and the reform of Class 4 so as to provide the mechanism by which the self-employed build up entitlement to the state pension and certain contributory benefits) are delayed by one year until April 2019. Class 2 NIC’s will continue to be payable by the self-employed in 2018/19. Enjoyed this post? Found it helpful? I’d be delighted if you felt able to share. And don’t forget to leave your name in the box on the left hand site, here to receive more tips for small business owners just like this.